Galley's are complete and printing of the book will soon commence. Looks like we're going to have around 320+/- pages, plus more than 25 B&W photos. An early May release is currently in the works. This will be the first of a two-part series, in which Andrew and I will be more than happy to answer just about any question you may have about Cobra Killer. 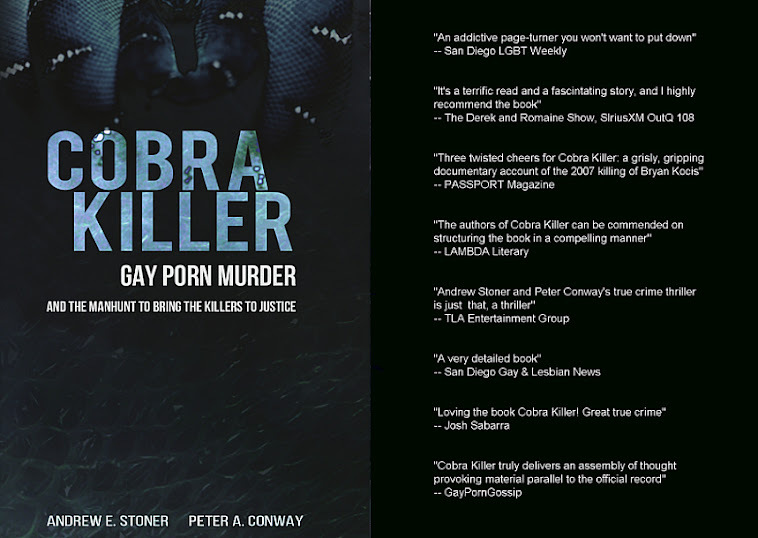 You'll notice that I said "Part 1"... we will not be answering questions that seek specific details about the content of Cobra Killer - that'll have to wait for "Part 2" - which will be sometime after the book's release in May.